Yuri Chaika, General Prosecutor of Russian Federation, General Prosecutor office of Russia: Stop the persecution of Sergey Kechimov and investigate Surgutneftegaz destructive activities on Khanti ancestral lands! Sergey Kechimov, a deer-herder from Yugra (Siberia) may be jailed for up to 2 years for protecting the Imlor lake, a sacred place for the local Khanti people.Sergey dared to challenge Surgutneftegaz - one of the most powerful oil companies in Russia - which got the permission for oil drilling at the Imlor lake regardless the opinion of native people. For the Khanti of Surgut, even hunting, fishing, burning fires, picking up mushrooms and herbs around the lake were traditionally forbidden activities. Supported by the conclusions of an official examination carried out by State experts in history and culture, the Khanti requested the authorities to grant the lake territory special protection status. In April 2012, a project of local Government’s stated they would include the “Sacred lake of Imlor” into the official registry of protected cultural heritage sites. But the initial project was ultimately declined due to pressure from the oil industry. Thus, the welfare of both the native people and the environment were sacrificed to Surgutneftegaz’s profit. Oil rigs started to appear around the lake. Even as the full-scale industrial drilling had not begun, oil started to leak from the pipelines and into the lake. For many years, Sergey Kechimov, belonging to a generation of deer-herders, protected the Imlor lake from poachers. He could not remain quiet as the oil industry started destroying it. He repeatedly complained to the authorities about the pollution of the lake – thus infuriating the oil company management more and more. Last Fall, dogs belonging to the oil-company workers, killed one of Sergey’s deers and attacked him as well. Sergey was forced to shoot one of the dogs. The incident took place within an area designated as a ”territory of traditional use of natural resources” to protect the way of life of the ancestral people. Instead of questioning the oil company’s activity in such a location, a few days later the police visited Sergey Kechimov and asked him to sign a document. 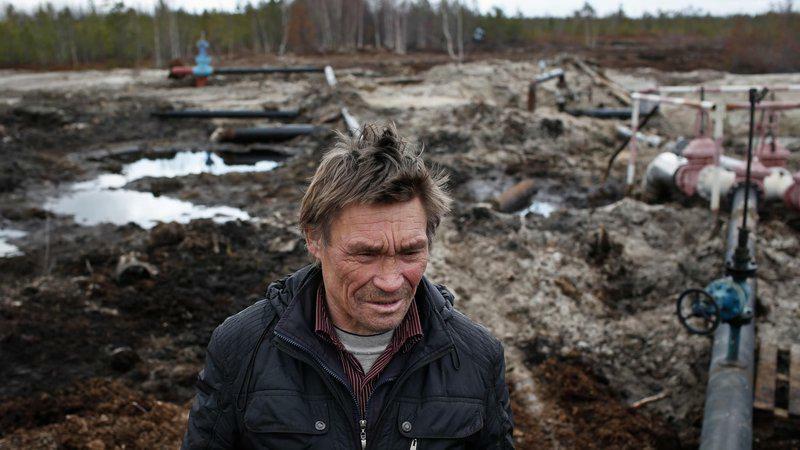 A forest dweller with little experience in handling documents, Sergey signed what turned to be a confession to “threatening” and “blackmailing” the oil workers. -To withdraw all the accusations against Sergey Kechimov for fighting to protect his ancestral land from the oil business. -To investigate the legality of Surgutneftegaz’ “rights” to perform any work within the Khanti’s protected ancestral lands. -To ensure the Prosecutor's Office enforces the ancestral rights of the Khanti people within the Khanty-Mansiysk autonomous region.